You have to keep moving forward. 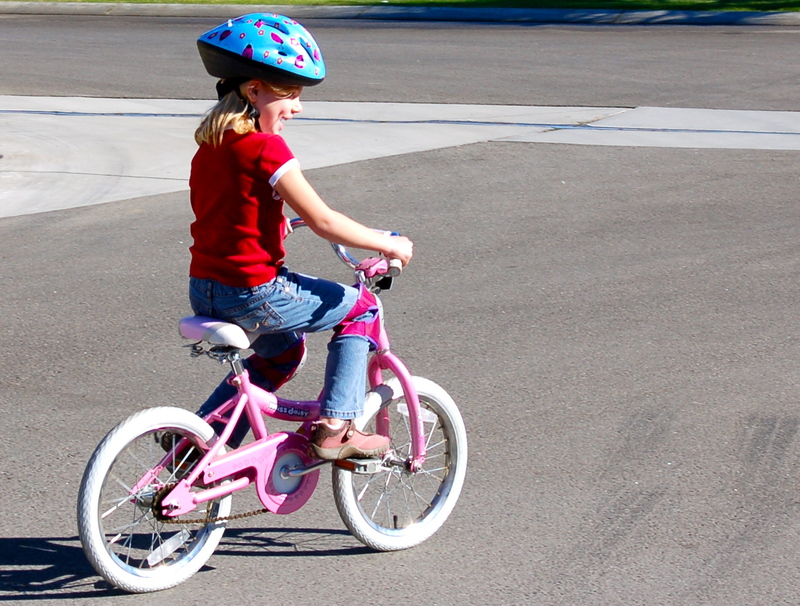 It’s the basic challenge of life and of learning to ride a bike. You have to let go and you’ll never find out if you can do it until you just let go and try. Please don’t give up before you try. The look of delight on your face will make everyone who loves you want to smile and shed tears of joy for you and brag about your accomplishment. Are you bored, are you busy? The cure for both is to try something new. You don’t feel it but your brain craves new challenges and experiences. You’re never to old to build new synapses. I have a son-in-law who loves board games. I used to call them bored games, but he has coerced me into a renewed adolescence with Carcassonne and Settlers of Catan. King of Tokyo is so geeky I feel like I’ve been air dropped into an episode of The Big Bang Theory, but nothing else in my day job requires me to engage in strategic planning or plotting evil and chaos. Besides we eat pizza without guilt because that’s what you do on GAME NIGHT. What can’t you do? That’s the secret to growing your brain. Find what you can’t do that you’d like to do and teach yourself how to do it. Cook like a chef, paint like an Impressionist, or swim like a fish. It doesn’t matter what you choose, it just matters that you keep moving forward. I sat next to a stranger at a luncheon one day. It was clear that she didn’t know anyone else at the table. I turned and introduced myself and asked her to tell me something about herself that I’d never guess. It’s a question I’ve been asking for years and I hear some really strange stuff, but her response was awesome (sorry to use awesome, but it’s appropriate here). She was a little overweight, mid-fifties, and not what I’d call athletic. Her face broke into a Cheshire Cat grin and she said,”I have a black belt in Judo”. She said the day that her youngest entered 1st grade she stopped at the grocery store on the way home from dropping the kids at school. There was a new Martial Arts Studio next to the store and she saw a sign that offered 3 free lessons. She went in and never stopped attending. I’m gonna learn Italian and how to add a personally designed header to this blog. They aren’t related, but I’m just committing them to print so I can’t slack off.